Since its inception in 1986, the IAEE has made an outstanding contribution to the vertical transportation industry. 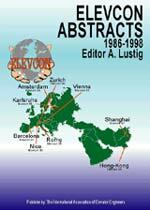 The Association's congress - ELEVCON - has, over the years, provided almost 250 new scientific papers. Leading experts from all over the world, both from industry and academia, have participated in this fund of knowledge so essential to the continuing growth and development of vertical transportation. This book enables those who are interested in any aspect of the field to familiarize themselves with the full range of topics covered by IAEE since 1986. The book contains the abstracts of the papers published in the books of proceedings of the International Association of Elevator Engineers (IAEE) International Conferences on Elevator Technologies held between the years 1986-1998. This book contains the written contributions of presentations made by leading experts from all over the world, at Elevcon 2000, the 10th International Congress on Vertical Transportation Technologies, held 9 - 11 May 2000 in Berlin, Germany. Extensively cross-referenced by author, subject and key word for rapid access. 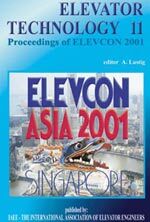 This book contains the written contributions of presentations made by leading experts from all over the world, at Elevcon 2001, the 11th International Congress on Vertical Transportation Technologies, held 11 - 13 July 2001 in Singapore. Extensively cross-referenced by author, subject and key word for rapid access. 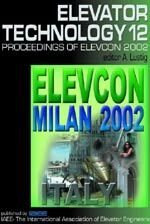 This book contains the written contributions of presentations made by leading experts from all over the world, at Elevcon 2002, the 12th International Congress on Vertical Transportation Technologies, held 25 - 27 June 2002 in Milan, Italy. Extensively cross-referenced by author, subject and key word for rapid access. 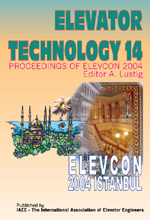 This book contains the written contributions of presentations made by leading experts from all over the world, at Elevcon 2004, the 14th International Congress on Vertical Transportation Technologies, held 27 - 29 April 2004 in Istanbul, Turkey. Extensively cross-referenced by author, subject and key word for rapid access. 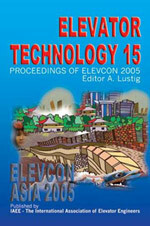 This book contains the written contributions of presentations made by leading experts from all over the world, at Elevcon 2005, the 15th International Congress on Vertical Transportation Technologies, held 7 - 9 June 2005 in Beijing, China. Extensively cross-referenced by author, subject and key word for rapid access. 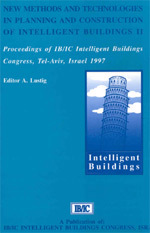 This book records the papers presented by leading experts from all over the world at the first International Congress on Intelligent Buildings, held 6 - 8 February 1995 in Tel Aviv, Israel. 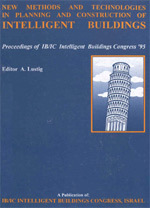 This book collects together the contributions made by leading experts from all over the world at IB/IC 97, the second International Congress on Intelligent Buildings, held 4 - 6 March 1997 in Tel Aviv, Israel.